By now, you've had a chance to peruse King Florist's 2017 Valentine Collection. We think there is something for every Valentine out there, but today we want to highlight the Lavish Garden. The name pretty much says it all, but let's take a minute to break it down. Our Lavish Garden is designed to inspire. She boasts a wide variety of this season's favorite blooms, creating a cornucopia of delight for the senses. 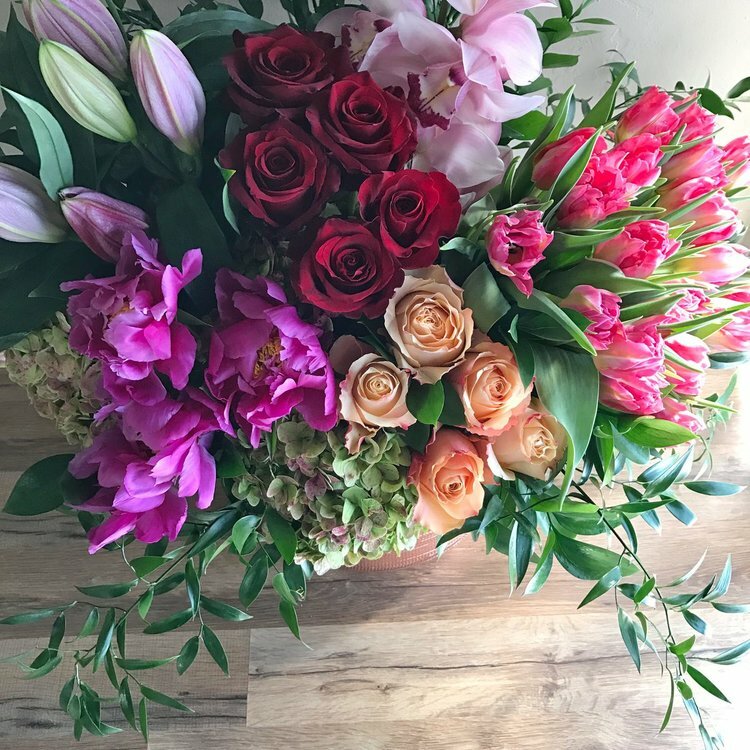 From lilies to peonies, tulips to hydrangea, delicate orchids to vibrant roses, the eye moves from flower to flower with joy and anticipation as the the nose takes in the olfactory sweetness. Valentine's Day is just over a week away and we want to help you make yours extra-special for that extra-special someone in your life. Feel free to call (512.453.6633), go online or come by (1806 W. Koenig Ln. ; ATX) to place your order in time for Valentine's Day delivery in Austin and the surrounding areas. If you come by, you can get a pre-whiff of what your arrangement will smell like. You can also meet our talented team of floral professionals. Oh, and if you can't find the words to make the arrangement truly unique, let us know and we'll help you. We will create the perfect, handwritten card on beautiful stationary to attend your flowers. Trust us, it will mean more than a heart emoji. King Florist for Valentine's Day. Because love is more than just a box of chocolates.